Solbiate Olona (VA), 12-13 June 2018 - The first International TARINT (Target Intelligence) Seminar was held at NRDC-ITA by the Intelligence element of the Operations Division. 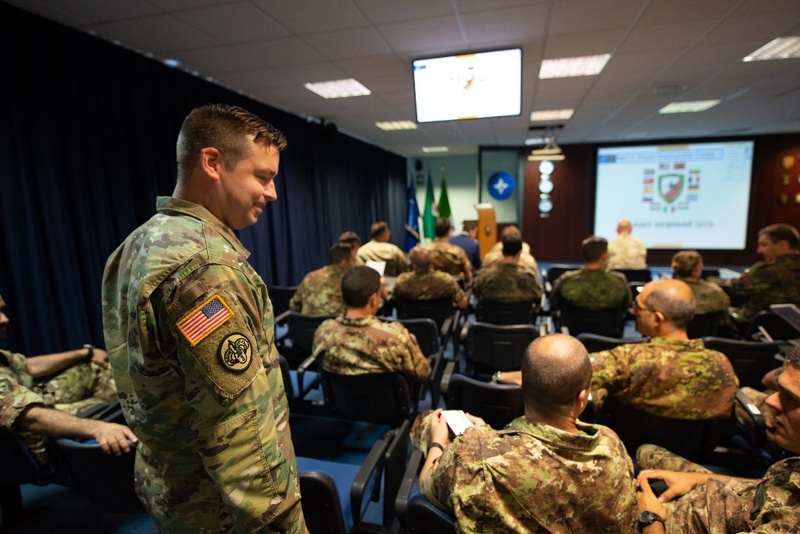 The aim of the seminar was to bring together the Intelligence Community of NATO Force Structure, as well as a number of Italian Army units, who all contribute to the Targeting process at a tactical level. In addition to military personnel from the headquarters, for the first time personnel from the NATO Intelligence Fusion Centre in Molesworth (UK), the Joint Force Air Component Command (JFAC) in Ramstein (Germany), the NATO School in Oberammergau (Germany) attended, along with several units of the Italian Army. 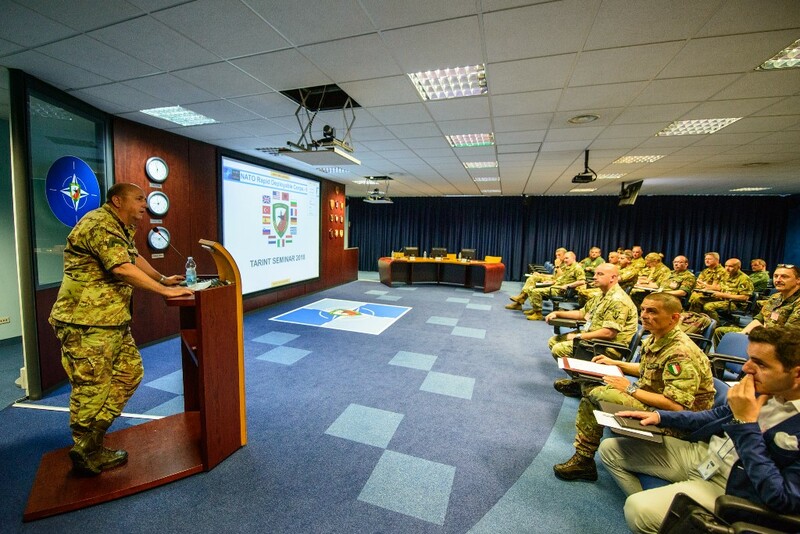 The event has been an example of an activity planned and conducted to maintain the capabilities, required by the headquarters’ role as Land Component Command (LCC) for the NATO Response Force (NRF) 2018. The current geopolitical uncertainties and security environment require the intelligence community within the NRDC-ITA to look for new and innovative ways in which to plan and work. It is their ability to improve their ‘network’ which will help enable success, both in future training, but also in any contingency operation. The ‘network’ is about not only opening lines of communication within the intelligence community, but, most importantly, it is also about sharing knowledge. Operating in a multi-national environment such as NATO and being reliant on National support requires strong ‘networks’, those which allow for familiarity, good communication and shared competence. 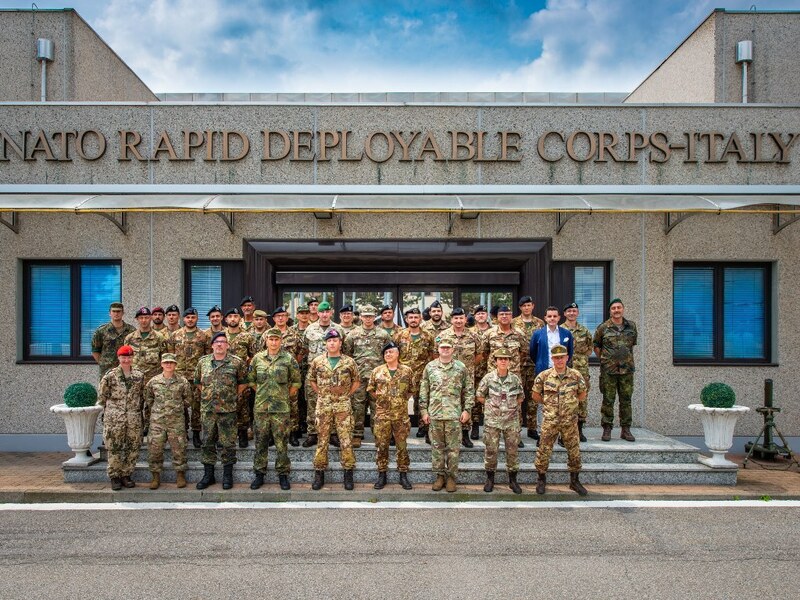 This year’s event was notable in that the NRDC-ITA was able to reinforce the connection with a number of Divisions and Brigades that may be called upon to operate under the coordinating authority of the headquarters. 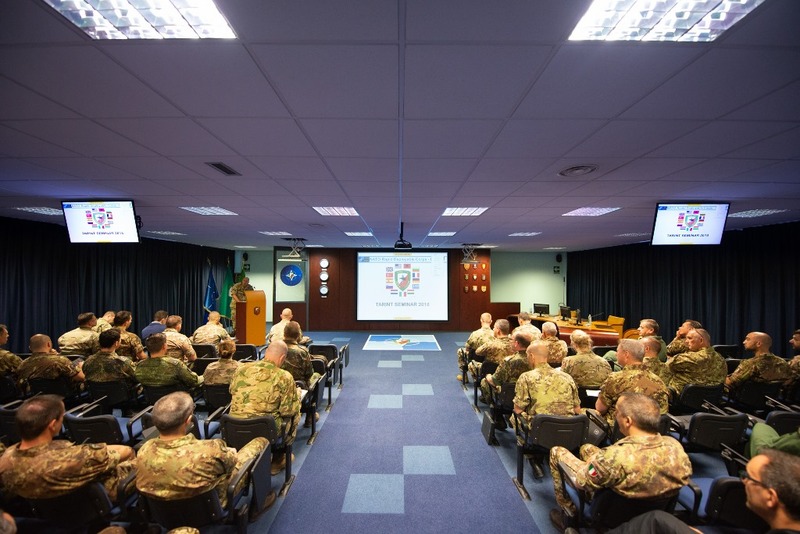 TheTARINT Seminar also represented the opportunity to share experience and best practice, which will surely benefit not only the NRDC-ITA, but also the Commands and Units from across the NATO Force Structure and the Italian Army.